★The High Shear Mixer granulator is widely used for pharmaceutical industry, foodstuff industry, chemical industry, powder metallurgy industry, dyestuff industry, etc. for powder mixing , wet mixing and granulating. ★The productive process is sealed and no dead corner, granulating uniform, easy to clean. The machinery conforms to the requirements of GMP. ★Compared with horizontal cylinder granulating technique, the high shear mixer granulator mixing effect is more reasonable. 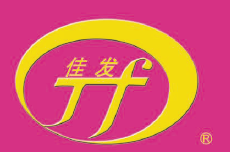 ★Changzhou Jiafa Granulating Drying Equipment Co., LTD is a specialty enterprise engaged in a preparation technics research and equipment development, also is a member unit of Association of China Pharmaceutical Equipment Industry, high-tech enterprises of Jiangsu, national emphasis new product recommend enterprises. Looking for ideal High-speed Mixing Machine Manufacturer & supplier ? We have a wide selection at great prices to help you get creative. All the High-speed Granulating Machine are quality guaranteed. We are China Origin Factory of Mixing Granulating Machine. If you have any question, please feel free to contact us.